TSM Smoothie: "I still have fans who say things like 'I miss when you were on C9' and I really appreciate that they still follow me to this day." We're here with Smoothie following an opening day win against 100 Thieves. 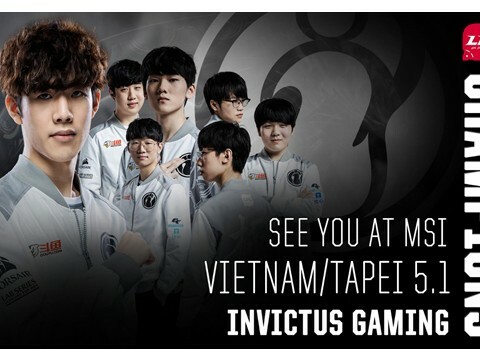 How important is it for TSM and this new roster to have a convincing victory to start off the season? For me, it was a really good win. Last year, my record against 100 Thieves was really bad on both Echo Fox and Cloud9. I don't know what it is about them, but I have always struggled. To get a win against them on my new team feels good. You laned against Bang and Aphromoo today. How did Bang play compared to your expectations? I don't see any player these days as anyone that special. I think when I play League of Legends, I just see my champion vs. their champion and how I can play mine better than they can play theirs. Even though Bang is a very decorated player, and Aphro is very famous in North America, it was just another game to me. I think that's a really good mindset to have. Sometimes when new players come in, they see the big names and it intimidates them. That's a really bad mindset because you'll be a lot more scared to make plays. You'll play passively in game, and you can't do that at the highest level. Bang and Aphromoo are good players, but today, we had a better draft and that made the game really easy. Last time you played professionally, it was as the Support for Echo Fox in the 2018 NA Regional Gauntlet. Were you able to capitalize on missing Worlds and utilize the longer off-season in any way? I feel like the off-season was way too long. The ranked solo queue ladder reset only happened a day or two before LCS started. It didn't really feel good to practice before that at all because I didn't feel like I was getting better prepared for the LCS split. It just felt like I was playing for fun at that point, because there was going to be at least six patches between last season's end and the first LCS patch. 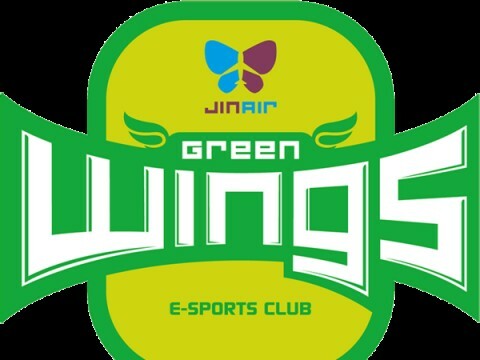 I was thinking of going to Korea at some point and grinding solo queue there, but at the end of the day, I felt like it wasn't worth it because of the patch and no ladder reset. For a majority of the off-season, I just did my own thing, had some fun, and hung out with other players. You joined Echo Fox under unusual circumstances when compared to your tenure on other teams in your career. 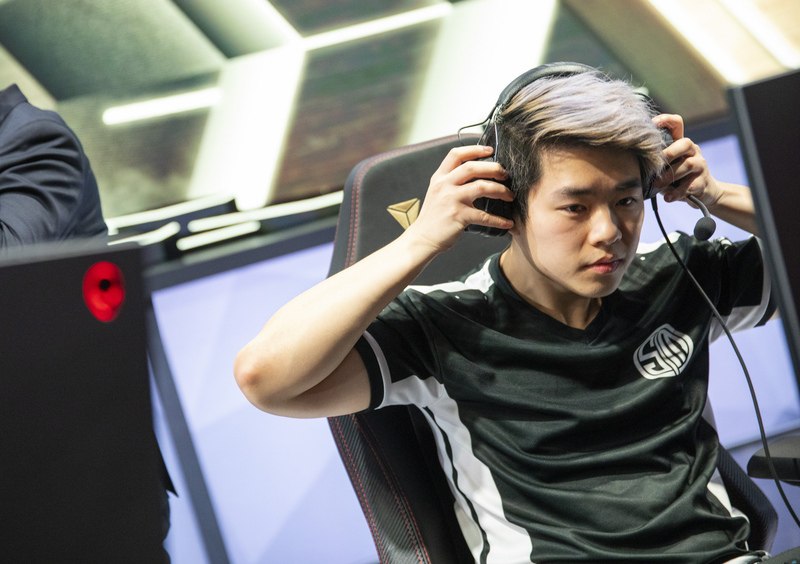 Was there anything you learned from adjusting to a new team mid-season that's helped you in your new environment on TSM? As you go from team to team, there's a lot to learn from playing with new team mates and learning their habits. If you learn how they play in game and the good decision they make in game, you will realize how and why they are good players. Every player in LCS has attributes that makes them a good player, and adding those things that they know to my reportoire as I go makes me a better player, and vice-versa for my teammates. I love learning things about League of Legends and Huni, Dardoch, Damonte, and Lost all possessed attributes that really helped me improve as a player. I really appreciated my time playing with those guys on Echo Fox. How did you end up joining TSM? During the off-season I was not expecting to move anywhere and just play on Echo Fox for two years. That was fine with me; the team was still pretty good at the time. We may have missed Worlds, but we formed mid-split and Huni was sick for the gauntlet, so what can you do? Honestly, the trade was pretty random. It happened in a couple days and I didn't see it coming, but I'm really happy to be on TSM now. Players like Zven and Bjergsen have a lot to prove now that they didn't get to Worlds. We all have stories about going to Worlds before, and we crave that since all missed out last year. I haven't even made Semifinals in NA since 2017, and that really hurt me. I play the game so much, and if I can't win, I'm wasting my time. I try so hard every single day and I think everyone on my team tries their absolute best every day. I can see that everyone is doing their best to play solo queue, go to the gym to take care of themselves — everyone wants to win and I can see that in their everyday actions. I think this environment is really good for anyone to learn and for us to succeed, so I'm really hopeful for this year. 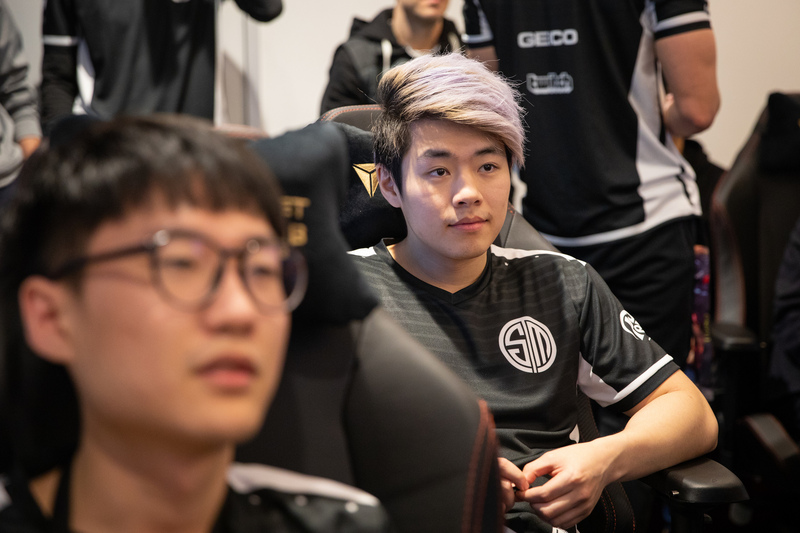 Players past and present on TSM have talked about the almost immeasurable work ethic of its players and the brand's expectations. Have there been any aspects of TSM that are unlike your previous teams? So far, no. The scrim culture and practice quality has all been pretty standard to me for the first couple of weeks. 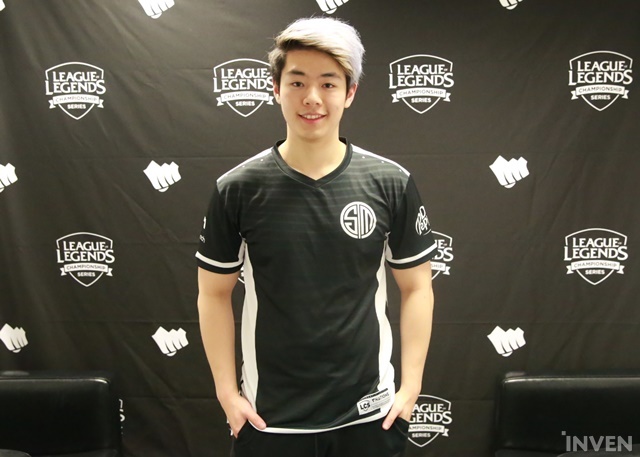 I'm sure as pressure mounts, the expectations of us as players will rise, especially with the culture of TSM. We have a huge fanbase, and the teammates I have right now expect me to perform and expect me to maintain TSM's legacy as a winning organization, and I expect the same from them. I think during playoffs, or even in the middle of the split, the pressure will be higher, but for now, it's been a really good environment in which to learn. We had to overcome some unexpected trials in the off-season because Grig was going to be our primary Jungler, but his wrists are hurting so he can't play. We've had to use Akaadian and he's been performing really, really well. I'm really happy with that, and every day, through wins or losses, we are learning a lot. It's been a really nice breath of fresh air. Your Bot Lane partner Zven has played his entire career with Mithy up until this split. Have you found that synergizing with a player who has played with one Support for such a long time has come with its own set of unique challenges? Definitely. I feel like we're both veterans and we both know what makes each other into good players. We both know how to play to each other's strengths and synergize well because we've been playing the game for so long. We can play almost every champion in the game due to our experience, and I think we both have good perspectives on how to continue learning. If someone messes up, we're going to be able to say it without worrying about someone's feelings because everyone is in the mindset of trying to improve. If someone is really trolling in scrims, one has to call them out for it and make them own up to their mistakes. 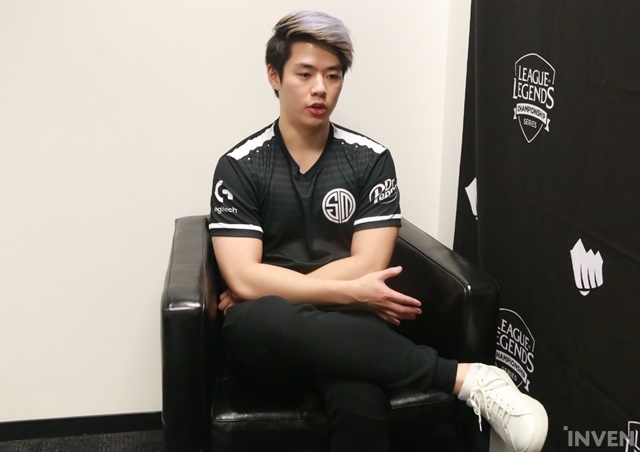 That's the culture TSM brings to its players, and that culture is something I've been wanting for a while because at the end of the day, everyone wants to win and improve. It's going to be important for us to be able to speak our minds if we really want to improve. You highlighted your veteranship around the bottom half of the map in Bjergsen, Zven, and yourself. On the top side, Broken Blade is younger and less experienced, and Akaadian has no international experience. How would you describe the dynamic of experience across the rift for TSM? It's been really evident in scrims that they definitely need to learn some things, but the process has been really good. I don't think Akaadian has been on a team that played with conventional macro because of the unique styles of his past teams, so the learning curve is steep. For example, on OpTic Gaming, Akaadian's Top Laner was Dhokla, who is really good on split pushers. Split pushing isn't always meta, and it wasn't particularly so at the time last summer, so it wasn't the "correct" way to play League of Legends because they only had one win condition. I think Zven, Bjergsen, and I can help BB and Akaadian learn really fast. I can already tell they're becoming great players. They learn really fast, and while they may make mistakes, that's what scrims are for, right? You lose some games, and learn, and if you win, great. There's always going to be someone better than you at the end of the day, so you have to keep on learning, and I think everyone's been doing a great job of that. Broken Blade is known as a carry-centric player, but his Sion performance today was great on all fronts. Is that more a reflection of him individually, or your team's cohesion? I was actually pretty surprised when I started playing with Broken Blade. He has a lot of good habits from playing the TCL in Turkey. He's very vocal and smart about how he wants to play around his lane. He's precise with his timings and that helps a lot in how we practice and what we can do to help him for the next game if something doesn't go well. I think he's performing at a higher level than I would expect of a player coming from a minor region. Zven and Bjergsen play carry roles. Does that put more leadership responsibility as the veteran in a non-carry position? I think the flow of communication on TSM has actually been a really good mix of everyone talking. I think the style of one person controlling the whole game is not really a thing anymore. If the person who is strong in-game can talk the most, that's ideal, because they know how to play their game and need to communicate their perspective. Everyone has a good idea of how they want to play when they're ahead. Broken Blade talks a lot when he's ahead, for example. Everyone has their part. I think my role in the team is to keep everyone track if and when the game gets chaotic. If we get behind in the game and need to regroup, I can be the voice to give everyone a mental reset. I want to be the voice of reason on this team. 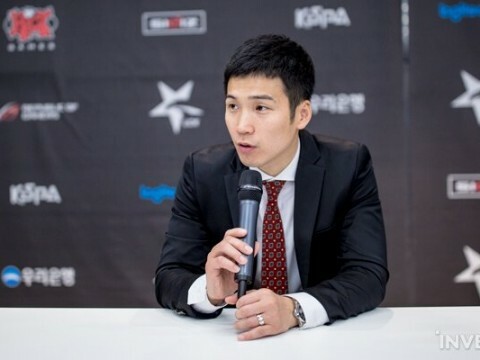 TSM also signed Counter Logic Gaming Head Coach Zikz in addition to you and Broken Blade in the off-season. How has working with him gone so far? What Zikz does really well is speaking to players. He speaks to you like you're a good friend, or like he's your brother. He's also really smart about the game and can teach us a lot about the big picture. A lot of coaches will look at a teamfight and point out the individual mechanical mistakes, and that will be the review. Zikz is a lot more big picture focused, and I think that's been really good for both our practice and review so far. You've been on 3 teams within the past year. How do the atmospheres of Cloud9, Echo Fox, and TSM compare? The main difference is the type of humor, for sure. Also, I'm hesitant to use the word 'drive', but TSM players, like Bjergsen for example, have always been known as super hard workers. You want to meet that expectation in work ethic. In Cloud9, the environment was very free. If you wanted to do something, you were welcome to do it. It was a family culture, but it was more independent than on TSM. If you didn't want to do something, you were free to not do it. In Echo Fox, it was very independent. If you didn't want to do something, you didn't have to. I think it just varies from team to team. For me, TSM is the best fit because I'm a very grind-heavy player. If I want to improve a lot, I'll just play 12 hours of solo queue per day. Zven and Bjergsen already play League or watch VoDs every day for hours and hours, and that's what I want to see from my teammates. It's great, and I have to be able to match that, because I'm part of that culture too. That's something that motivates me to improve and play well, and something I can hold myself accountable to going forward. Do you think a structured regimen is better for everyone, or does it depend on the player? It's player-to-player. If I have too much freedom, I get complacent sometimes, but that's different for other players. Some players play other games in their spare time and that helps them focus better because it relieves the mental stress of scrims. Doing something else mentally resets them for the next day. For me, however, I need to play a lot of games. I scrim, play solo queue for a few hours afterwards, and go to the gym. I have a pretty strict schedule for myself that I have to maintain or I won't feel like I'm playing at 100%. Thanks to those who have supported me from my old teams Echo Fox and Cloud9. I still have fans who say things like 'I miss when you were on C9' and I really appreciate that they still follow me to this day. Thanks everyone, hopefully this split will be a good one.